The penguin, with its unique black-and-white markings, is one of nature's best-loved birds. In this lavishly illustrated volume, the reader is treated to an intimate look at the world's penguins, from the distinctive yellow-eyed to the energetic rock-hopper penguins. Packed with fascinating information on penguin physiology, mating and nesting habits, life cycle, and social behavior, Penguins is loaded with stunning photographs of penguins in their forbidding yet beautiful habitats. 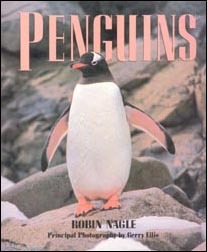 Informative and entertaining, Penguins is a delightful tribute to these lovable and curious creatures.